When Calibre 9F was created in 1993, the goal was straightforward but ambitious. 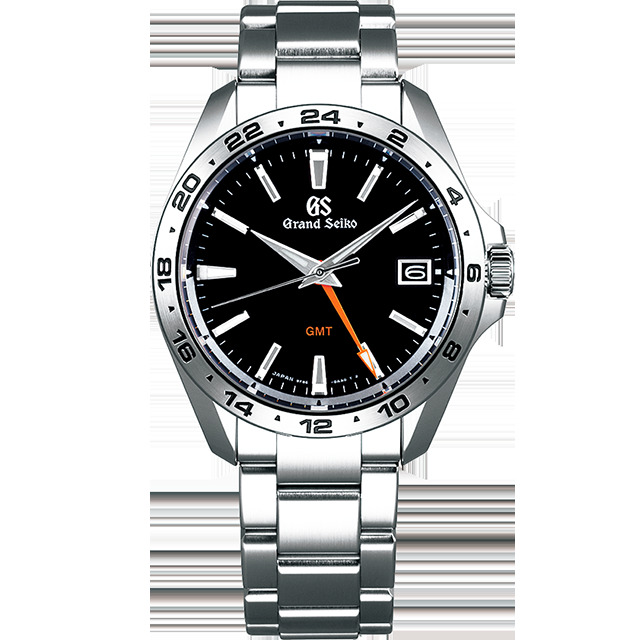 As the quartz calibre for Grand Seiko, it should set new standards of durability and precision and should allow all the aesthetics of Grand Seiko to be fully expressed. Innovations in every aspect of the movement design were required to achieve this. A backlash auto-adjust mechanism eliminates any shudder in the seconds hand, the date changes in the blink of an eye, a twin-pulse control system allows the minute and seconds hands to extend right to the edge of the dial and high precision is ensured by the use of aged and individually selected quartz crystals. Thanks to these unique characteristics, Calibre 9F can lay a strong claim to being the highest performance quartz watch in the world. 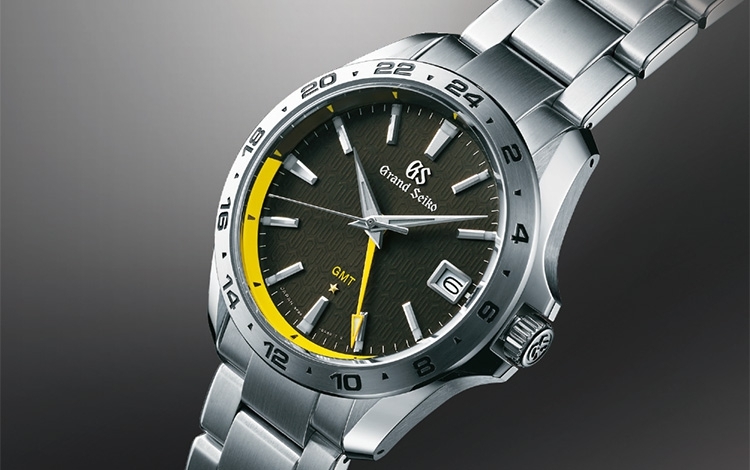 Today sees the release of the first ever Grand Seiko 9F quartz GMT calibre. It is the perfect calibre for the international traveler. 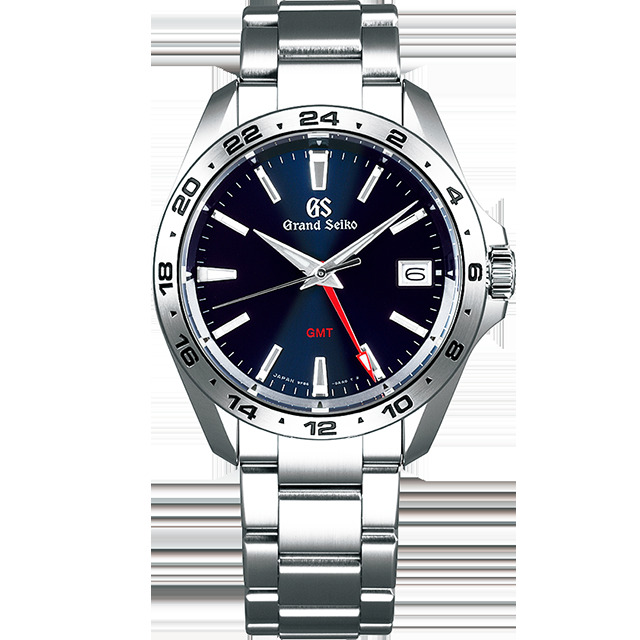 Calibre 9F86 is based upon, and has all the precision and durability attributes of, the original 9F but incorporates a GMT function that allows the watch’s precision to be maintained when the hour hand is adjusted independently. This is made possible by new components that have been created especially for this movement. Despite the addition of the GMT hand, the depth of the case has been increased only slightly, thanks to a newly designed main plate, a re-design of the gear train and the way the hands are attached, a process that is done by hand. 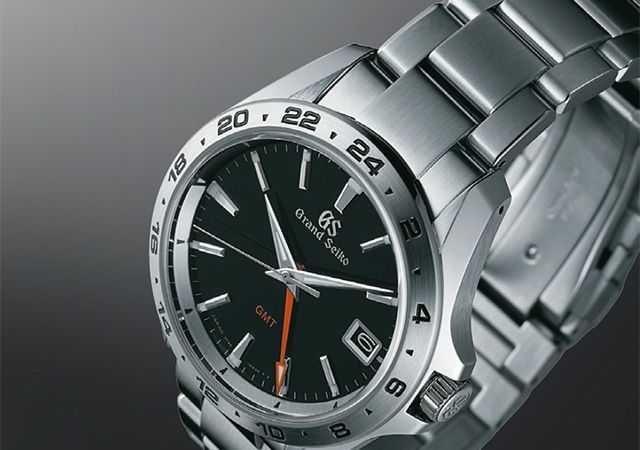 Like the other hands, the GMT hand is mounted on an independent axis so as to ensure its smooth operation. 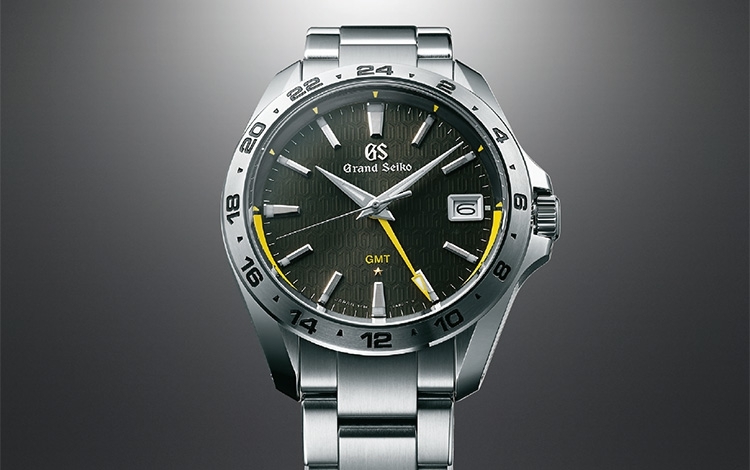 Calibre 9F86 is presented in one limited edition and two other permanent creations in the Grand Seiko Sport Collection. 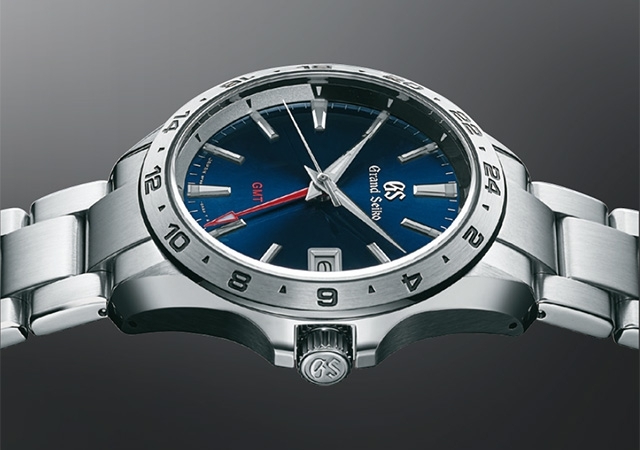 Thanks to the high torque, the GMT hand extends right to the dial edge to ensure accurate reading of the second time zone. In both performance and design, this new limited edition is the perfect embodiment of the values and high standards that 9F has always represented. 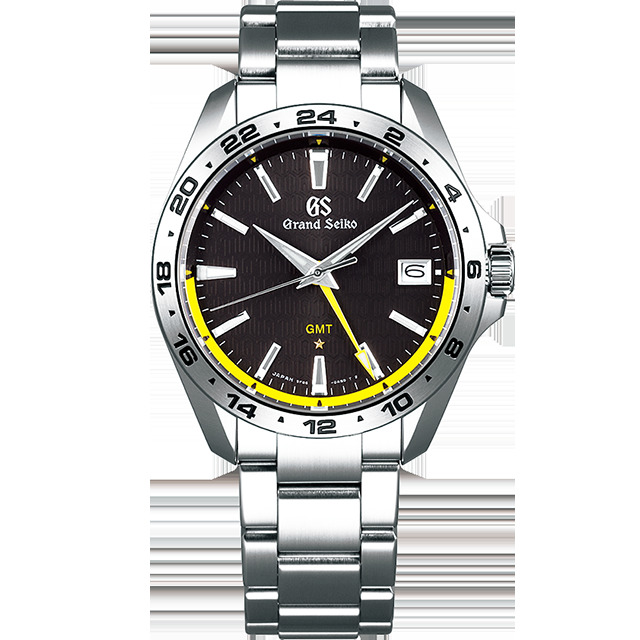 The metallic charcoal dial features a unique pattern based on the traditional Quartz symbol to commemorate the 25th anniversary of Calibre 9F. It also carries the five-pointed star that symbolizes Grand Seiko’s special level accuracy and, at the 25 minute position, the dial pattern is subtly different; the symbols 9F and 25 are discreetly shown as a permanent reminder of the calibre’s anniversary. The outer rim of the dial, from three o’clock to nine, is picked out in vivid yellow to display at a glance whether the GMT hand indicates AM or PM. This unique commemorative Grand Seiko watch is offered in an edition limited to just 800 and will be available in selected markets from October. In addition to the limited edition, two other new creations are to be released incorporating the 9F86 calibre. They add a new dimension to the Grand Seiko Sport Collection and share the simple but powerful design that characterizes it. The dials are three dimensional in appearance and are edged with a two-tone ring to allow the AM or PM time indicated by the GMT hand to be read instantly and easily. Similarly, the use of Lumibrite on the hour markers and hour, minute and GMT hands delivers the enhanced legibility that the international traveler needs. These two new creations are available in January, 2019.